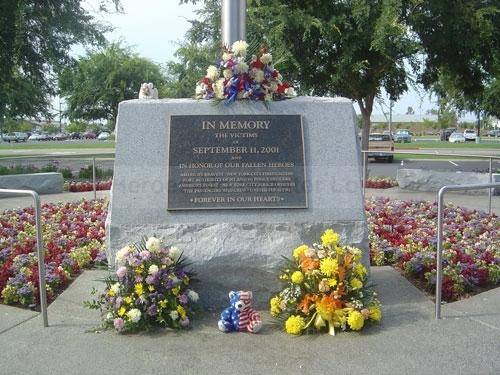 PELCO Corporation in Clovis, California has honored those that lost their lives as a consequence of 911 by placing this monument in the center of their grounds for all to see and remember. They have a memorial at both their New York and California offices. There is an American flag that flies with splendor atop. We are grateful for their support, kindness and caring. Touch the picture to read plaque up close.